Malaysia has a problem with the public image of its palm oil and wants to change that with a countrywide certification to show that it is sustainable. As a global biodiversity hotspot working an industry that is commonly associated with biodiversity loss, will its certification of palm oil be an effective measure for conservation? Its development since gaining independence from the British has been funded by the exploitation of its natural resources including oil, timber and agriculture. It was once the world’s top producer and exporter of rubber products but as global demand for rubber fell just as the demand for palm oil was rising, the oil palm became the favored crop. As of 2018, the government body in charge of overseeing the palm oil industry in Malaysia, the Malaysian Palm Oil Board (MPOB) reports a planted area of 5.8 million hectares. Data from the MPOB shows the country as the second largest producer of palm oil with production of 21 million tons and is a key supplier for the global demand for oils and fats. Global alarm over the deforestation rate led to the certification of over nine hundred thousand hectares of palm oil in Malaysia by the Roundtable on Sustainable Palm Oil (RSPO) as sustainable. In 2015, Malaysia launched its own certification scheme under the Malaysian Sustainable Palm Oil (MSPO) initiative. The national scheme with its stated aim of certifying small holders and other operations which have resisted the costs of certification under the RSPO is supposed to be complementary rather than competitive. With a goal of complete certification by end 2019, a good question is, what impact will this have on conservation in Malaysia? To get a better understanding of conservation issues, I reached out to Surin Suksuwan, an expert in Malaysian conservation issues to share his views on certification and conservation. Question: as a conservationist with an intimate knowledge of the issues in Malaysia, what would you say is the biggest challenge to conservation in Malaysia? 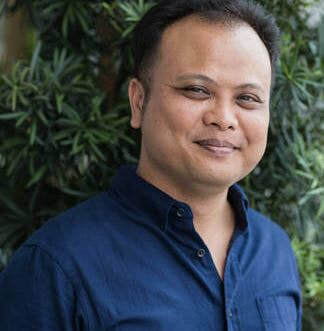 Surin S: Within the legal framework in Malaysia there is a lack of uniformity between Federal laws/guidelines and how they are implemented at the State level, bearing in mind that the State government has jurisdiction over land, water and forest matters as accorded by the Federal Constitution of Malaysia. Within such constraints, it would be challenging for sustainability initiatives including certification of sustainably- or responsibly-produced commodities to deliver impacts on the ground. Specifically on MSPO, much of the its standard focuses on legal requirements which producers need to adhere to, even without the existence of the MSPO. While the MSPO may spur producers to increase their efforts in achieving legal compliance, it would be difficult to do so when the relevant State governments do not have enabling laws or policies to support such efforts. A case in point is the concept of Environmentally Sensitive Areas (ESAs) which are defined in the National Physical Plan but need to be incorporated into structure and local plans in order to be legally binding. The MSPO standards incorporate avoidance of ESAs as defined in the Malaysian government’s National Physical Plan. ESAs include critical habitats for wildlife. However, much is lost in translation when interpreting the national policy into more local policy documents. Therefore, an approach that mainly relies on the existing legal or governmental policy framework will not be expected to contribute significantly to the strengthening of conservation impacts in Malaysia. One element within the MSPO standard that is beyond legal requirements is the High Biodiversity Value (HBV) assessment but there is currently no specific guidance available on how the assessment should be conducted or how to define HBV areas. Question: Noting your comment on differing opinions of land use between the federal and state governments, what would your suggestion to the federal government be? Surin S: One of the key challenges to conservation in Malaysia is the heavy reliance of the State governments on natural resource exploitation due to their narrow revenue base. This is a major disincentive for the conservation of natural resources especially in the case of States that have a relatively high forest cover and are economically challenged. Usually the Federal government signs on to international treaties such as the Convention on Biological Diversity (CBD) and the United Nation’s Framework Convention on Climate Change (UNFCCC), while the implementation at ground level is by the individual States. The Federal government needs to provide sufficient measures (incentives for compliance and disincentives for non-compliance) and resources for the implementation of these treaties, which could be in the form of Federal grants, payment for ecosystem services (PES), policy reforms to allow for State governments to expand their revenue base beyond natural resources exploitation, debt for nature swaps (many State governments owe money to the Federal government) etc. Question: Would the creation of more national parks serve to create your vision of a well conserved Malaysia? Or perhaps a landscape approach? Surin S: There is already a national land use plan for Peninsular Malaysia in the form of the National Physical Plan, and this plan already includes the expansion of the protected area network in Malaysia, amongst other things. However, the creation of more protected areas alone would not be sufficient to achieve the conservation vision for Malaysia. Equally important is the conservation of biodiversity within production landscapes including natural forests under selective timber harvesting regimes as well as conservation areas within forest and agricultural plantations. While there is a lot of international focus on oil palm, it should be pointed out there are also other agricultural commodities whose production lead to deforestation, including rubber, cocoa and even durians. In order to achieve effective biodiversity conservation in Malaysia, there is a need for a multi-pronged approach (which includes the establishment of protected areas as well as conserving biodiversity within production landscapes) and the National Policy on Biological Diversity 2016-2025 provides for this. In production landscapes that have long since been converted from forest and with little remaining forest, the conservation contribution from sustainability certification is likely to be minimal and so the requirements on growers may also be minimal. However, in landscapes that still contain significant biodiversity (even within relatively small patches) or that function as important ecological corridors, improved practices through certification can contribute significantly to biodiversity conservation. For small and medium plantations in these areas, certification maybe part of the solution, but other approaches like government programmes or industry-driven landscape initiatives may also be needed to incentivise or compensate land owners. The role of government actors is critical in ensuring conservation success as effective law enforcement needs to be in place, without which it would be very challenging for certification to deliver conservation outcomes.